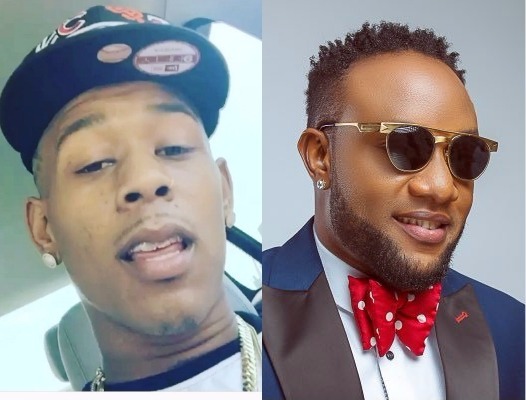 An Instagram user has blasted Five Star Music front-line act, Kcee for allegedly stealing and using his pictures to deceive Nigerians. 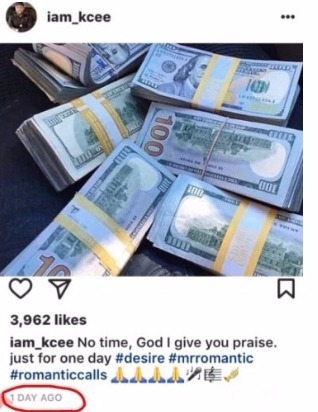 The 'Romantic call' crooner posted a photo of wraps of dollars and wrote 'No time, God I give you praise. just for one day #desire #mrromantic #romanticcalls 🙏🙏🙏🙏🎤🎼🎺', And then the apparent owner of the money called him out. 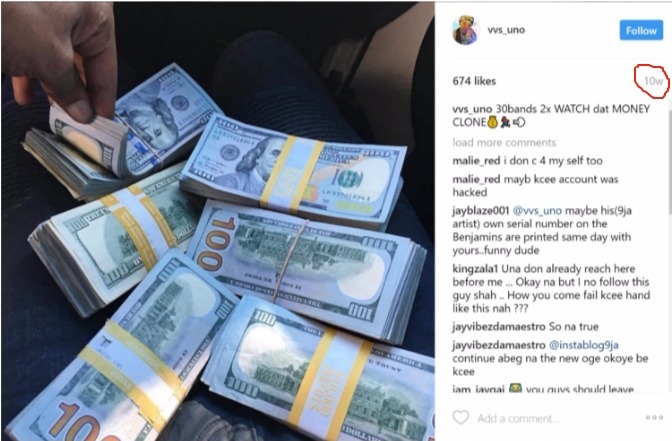 This is the second time, a Nigerian celebrity is being called out on Instagram for 'stealing'. Nollywood actress, Oge Okoye was recently embarrassed for passing off Kenya Moore's dogs as hers.